Great news for Revenge fans, or fans of French cinema like Un, Deux, Trois, Sommeil: According to Just Jared, French actor Olivier Martinez is joining the cast of ABC's Revenge as a recurring character, and he's set to portray Karine Vanasse's character, Margaux LeMarchal's, father. 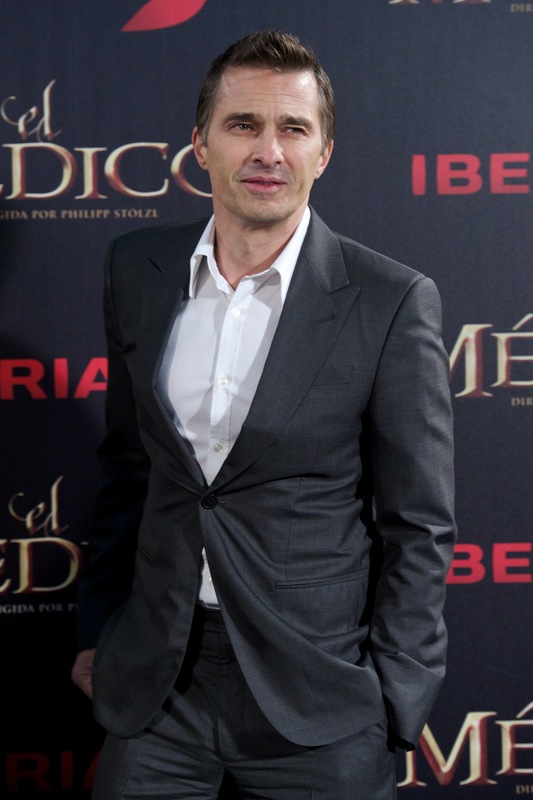 The French actor will recur as Pascal LeMarchal, Margaux LeMarchal’s (Vanasse) media magnate father. He is a cutthroat businessman and has a competitive history with Conrad (Henry Czerny), and an even more complicated one with Victoria (Madeleine Stowe). Sound good? Apparently, this is the biggest U.S. TV commitment ever for Martinez, but the timing actually does sort of make sense: His wife, the perfect, never-aging Halle Berry, is set to star in a new series for CBS called Extant this summer, so them both having jobs on television shows kind of keeps their schedule pretty stable for the foreseeable future. Martinez has previously starred in mostly films for French cinema, but he has appeared in major Hollywood films like 2002's Unfaithful, 2003's S.W.A.T., and 2007's unfortunate film, Blood & Chocolate. There's no word on when exactly we'll see Martinez's first appearance in the season (which began airing in September).